In 2013 the Caribbean welcomed over 25 million visitors and this number is expected to climb to 33 million by 2015, according to figures from the United Nations World Tourism Organization. 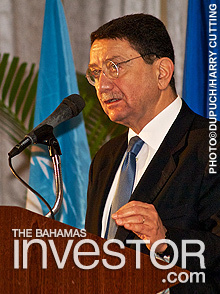 “In the midst of the hardships of 2013, the Caribbean passed that 25 million person mark and was able to welcome more visitors to the region than ever before in our history,” said Hugh Riley, secretary general of the Caribbean Tourism Organization (CTO), quoting the figures during his address at the Small Island Developing States conference in Nassau yesterday. Riley said the CTO was focused on promoting the region as a year-round choice to avoid any slumps during the traditional off-peak seasons. 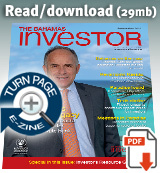 Around 9 per cent of the world’s gross domestic product (GDP) is generated by travel and tourism. Rifai said that in order for the Caribbean to maximize its share of this profitable market, five key issues need to be addressed. These are how to distribute the benefits down through the value chain, connectivity and airlift, climate change concerns, regional co-operation and diversifying the tourism product. The two-day SIDS event is being held at the Melia Resort on Cable Beach and includes panel discussions, ministerial meetings and island tours for international delegates. Sponsors of the event include the Inter-American Development Bank, The Bahamas Ministry of Tourism and the United Nations World Tourism Organization. 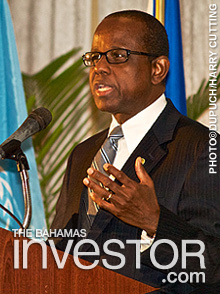 Speaking at the Small Island Developing States conference in Nassau yesterday, Prime Minister Perry Christie said that he wants to diversify the Bahamian tourism product to reflect the country's unique history and culture.